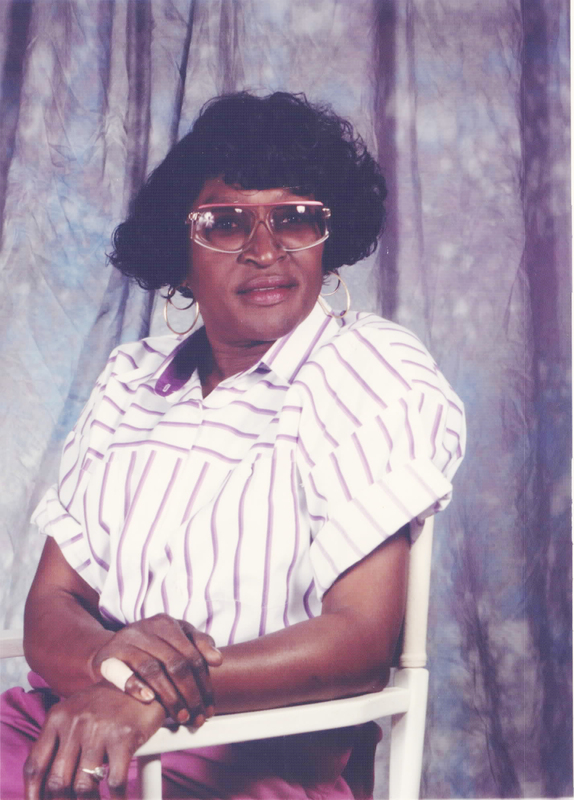 Funeral services for Mrs. Edythe E. Brown will be Wednesday, February 11, 2015 at 11:00 a.m. at New Hope Baptist Church in Montezuma, Georgia with Reverend Allen Waters officiating. Burial will follow in the church cemetery. On August 9, 1935, the union of Roosevelt and Alberta Coleman Engram of Macon County was blessed with the birth of a daughter, Edythe. They were also blessed with a son, Jesse, who preceded her in death. He was born August 9, 1933. Edythe was an avid participant in the community and in the pursuit of her education. She was a member of the Georgia Retired Educators Association, Macon County Retired Teachers and Associates and Eunice Chapter Number 164 Order of the Eastern Star. She spent her high school years at Flint River Farms High School where she was among the top of her class, and one of several star basketball players who held the State Class C basketball championship for two years, 1952-1953 and 1953-1954. She obtained a bachelor’s degree in English from Fort Valley State College and earned her master’s degree in Special Education from the University of Georgia. Edythe was a unique, fun-loving, hard-working educator and youth advocate. She joined New Hope Baptist Church at the age of five. She worked in many ministries throughout the church. She was known for her ability to speak powerfully and eloquently. Working with the youth at her church and at school were her passions. She spent many hours coaching young people for oratorical contests, preparing them for special programs and planning youth day events. Edythe dedicated her life to ensuring the educational and spiritual success of young people. She succeeded in helping them to see themselves as valuable, useful human beings with impressive potential. Edythe passed away quietly at home surrounded by her family on Friday, February 6, 2015. To cherish her loving memories she leaves a loving and devoted son and daughter-in-law, James and Sheena Brown of Montezuma, Georgia; her beloved grandsons, Cullen Roosevelt, Capres Leviticus, and Corbin Samuel Brown; a lovely great granddaughter, Zy’Kerria Brown; a sister-in-law, Betty Engram; two nieces: Linda (Claude) Forbes and Jennifer Engram; special friends: Pearlene Harvey, Bessie Warren, Yolanda Kendrick, Tonya Garnes, Jeanette Leggett, Annie “Nick” Thomas, Miltee Manning, Darlene Brown and Juanita Williams; her devoted church family, including her pastor, Reverend Allen Waters, Deacons, and many loving God-gifted cousins and friends throughout Macon, Dooly, and Crisp County. My prayers and thoughts are with you all doing your darkest hours. Marilyn king- Hutchinson/class of "71"
The Engram and Brown family: Mrs. Brown will be missed.She had that smile and love that just swallow you up.By her been our teacher we will always remember her.Our prayers and blessings are with you.At your darkest. Love, class of "71"
Please accept our deepest condolences for your family's great loss. Words cannot even begin to express our sorrow. We'll always remember the fond times and I feel lucky that we had the pleasure of knowing Ms. Edythe she will be truley missed. With deepest sympathy to the family. I was a student teacher under Mrs Brown. She was a wonderful lady who really cared for the children. May your memories of the love you shared and faith in God bring you comfort during this time. Know that you and your family have our deepest sympathy. We are lifting you all in our prayers and know that God has His arms all around you! Edythe will live on in your hearts and continue to love each other.